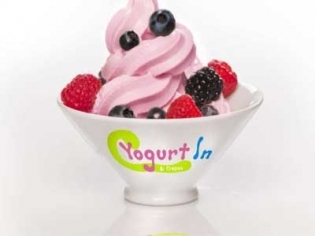 Yogurt In is a treat shop offering sweet and savory crepes, frozen yogurt and toppings. It is self-service frozen yogurt with 16 rotating flavors and a multitude of toppings to choose from. Ask for a sample cup to try some out! The crepes are made to order and you can choose what ingredients you want in the middle. Sweet or savory, you are sure to like them! Sit down and chill out, enjoy the free wifi while you indulge in some frozen treats. Try the nutella crepe with bananas if that’s your thing, or go for a savory one with chicken, pesto and mushrooms.